Business is a hierarchy and most people in the industry knows about it. There are leaders and there are followers. There are bosses and there are employees. There are executives and there are subordinates. More often than not it is a mystery to most about who runs the business in a bigger scale, which people frequently occupies the boardroom, or generally, which other people are in the business as well and what job they specifically do or perform. That is why most businesses provide an extensive information about the hierarchy of the business, starting from the owner down to the latest recruit. This can be done by simply following the pattern of a family tree, where under a head, there are subheads and under the subheads are another set of subheads and so on. Although with a family tree it shows who the patriarch and matriarch of the family is, for a business, it can show who founded or seats as president of the company or business. From a more business standpoint, when a family tree is done in such a way, it can also be referred to as the organizational or business chart. A visual aid that helps inform people which position they are in and to who they should be reporting. It simply shows the members of the business in a well-laid out, organized manner. 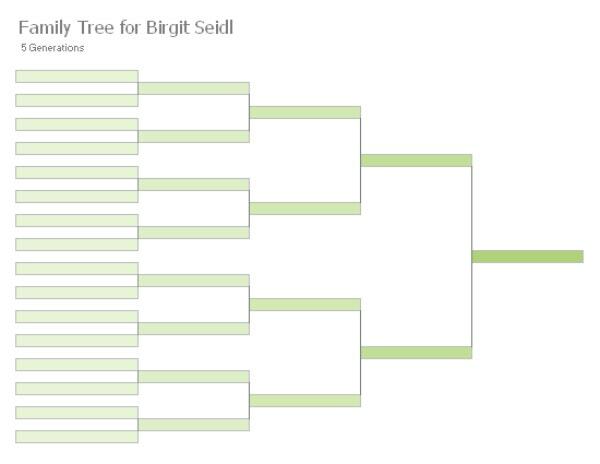 That said, you can simply use the template of a blank family tree as a reference to your organizational chart. An organizational chart is a visual aid that outlines the internal structure of the company. It simply shows the structure of the company within to those who wish to see it from an outside perspective: the roles of an individual, their responsibilities and the relationships they have with each other. An organizational chart simply presents the entirety of a business or organization to people in an illustrated manner, organized and streamlined. A more popular feature in Engineering back in the days, the organizational chart was not as profusely used today in business as it was before. It was in 1855 that the first modern organizational chart— an illustrated diagram of the New York and Erie Railway — was designed by a railway general superintendent, Daniel McCallum. McCallum acquired the help of George Holt Henshaw, a draftsman, and civil engineer, to draw and design the chart for him. It took some 50 to 60 years before the term “organizational chart” was made into common use. It was when Willard C. Brinton, a consulting engineer, used the term in his 1914 “Graphic Methods For Presenting Facts” textbook. In his book, he basically imposed on people the importance and value of using the term, which should be more widely used. Although organizational charts might seem like they all look alike, there are actually different types that are commonly used in the business industry. Types that steer away from the usual pyramid form with the executives at the top and then going down to the employees. This is what most people in business are accustomed to. The one that is also known as the pyramid. Although it does not really depict the form of the said geometric shape, it simply starts with a peak (i.e. founder or CEO) and then ripples down to each department and their employees. It simply shows the hierarchy of the business, who is at the top, and who is working for the person in the position. A hierarchical chart often shows its employees the right people they should be reporting to which makes making the business really efficient. Not only that, but hierarchical chart is also able to better define the levels of authority and responsibility from individuals. But more than all that is said, a hierarchical chart is able to motivate its employees as it shows a clearer career path. A flat chart is a chart ideal for companies with lesser people to supervise and man. Horizontal or flat charts are perfect for startup businesses as they are the type of businesses that start out small before eventually growing into soothing bigger. Also, a horizontal or flat chart fit companies that only have a few levels of their upper management and staff-level employees. A hierarchical chart, in a way, provides each employee more responsibility considering the few numbers of workers in the chart. Also, it is more likely to open more communication between employees. A matrix org chart is basically in a grid-like form where an individual can be seen accounted for projects but is still on the same team. This works mostly well for businesses that are at a constant for projects and is not able to supply more men to do such, thus crossovers. A matrix chart ultimately gives a more dynamic view of its organization. More so, it is also able to encourage each employee to try on different work in the means of a project that is far beyond their capacity to help them grow as professionals and not simply get comfortable in their original roles. 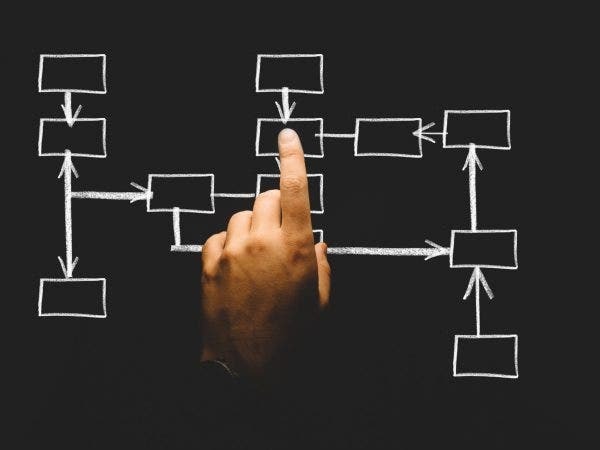 Just like any medium used to clarify the different roles in a business or company’s structure, there are also reasons why opting for an organizational chart is important. It shows the different benefits that can be taken out of having an organizational chart in the businesses. Benefits that a business or company would make use of in the long run. An organizational chart simply identifies the different roles of its people within the business. It tells people who are the supervisors and the subordinates, which people frequently occupies the boardroom. But other than that, an organizational chart tells people of the different roles in a business or company and what jobs or tasks each position is meant to do. As much as businesses identify the different roles of people within the business or company, it also clarifies which ones are meant to be looked at as bosses or leaders. Also, organizational chart clarifies the hierarchy in the business as it effectively illustrates to who the subordinates will have to report to. Organizational charts serve as a guide to the people who have lost their awareness of the different roles within the business or organization. With the chart present, it will simply help the people be guided of the tasks and roles that needed to be done and to who each people will be reporting. Given that an organizational chart illustrates the hierarchy of a business, which shows who works at the top of the ladder, there is the tendency for people to feel motivated with it. Organizational charts have some sort of power that makes people want to work hard knowing that they have the possibility to be one of those people working in a higher position due to promotion. Making your very own organizational chart relatively is not complex. It basically only needs a full understanding of all the relationships of the internal structure of a business, once that is accomplished the rest of the processes is not something too demanding that will hinder you from creating your very own. Before beginning to map out your business’ internal relationship with one another, it is ideal to have a template at the ready. For this, you have an indefinite way of choosing your template or you can simply go with a blank family tree template that equally works like any other template intended for businesses or organizational charts specifically. Then, identify the internal structure of your business to effectively create the organizational chart. Begin with identifying the accurate names of individuals who work for the company or business, their titles, jobs, and tasks. With all of this information prepared, your business’ organizational chart is well underway. When the template and the information are already both ready, it is time to carefully map out the information to the template. Place the names of people accordingly based on the business’ hierarchy. Begin with the executives, supervisors going down to the subordinates and employees. When this is done, you have successfully created your business’ organizational chart that can already be used for your business. Hierarchy is part of business’ nature, in fact, any business would not work without effective leaders. It just creates the balance that is needed in order to sustain the business and help reach its long-term goals. Often times, people need to be reminded of that and it can be done through an organizational chart, which effectively helps illustrate the hierarchy of a business, which can also help a business in various forms. Ways that can, in a way, greatly affect the business in a much bigger scale. If you find this article helpful in any way, do not forget to bookmark this page for future references. Kindly share this page with other people or individuals working in a business or company seeking for blank family tree templates to use for business purposes or generally, articles about the organizational chart and hot to effectively make one.